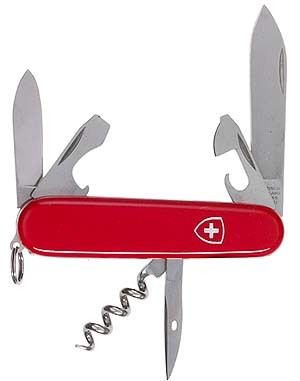 CLOSE OUT $20.00 53161 Weekender genuine Victorinox, 9 tools 14 functions 3-1/2" closed, Red plastic handles, Gift box. Made in Switzerland,. Box Size: 5" X 3-3/8" X 1-3/4"